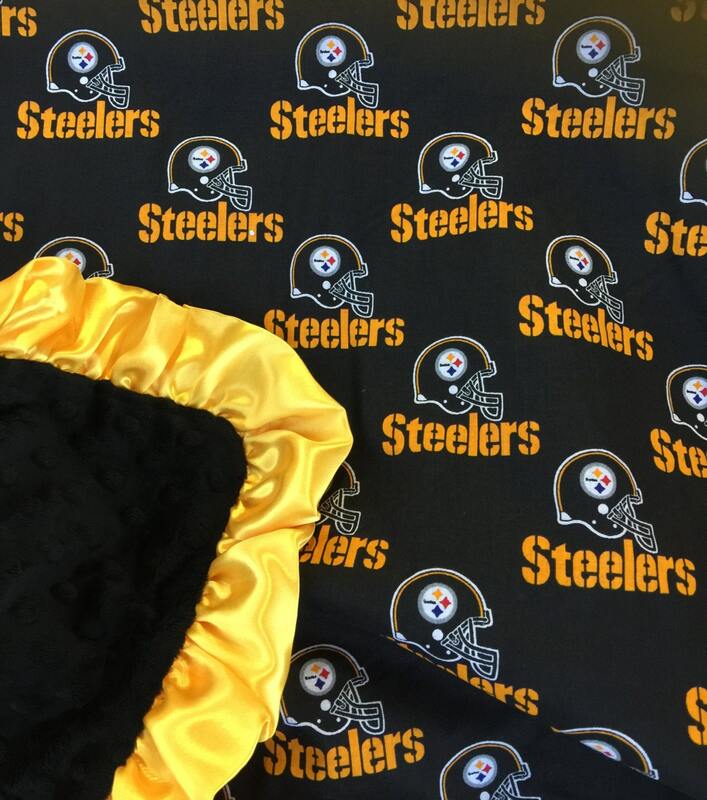 30x36 licensed cotton Steelers fabric on top / black minky dot on the bottom with you satin binding. Choose ruffle for girls or straight satin for boys. Also choose if you want yellow or black minky on back.